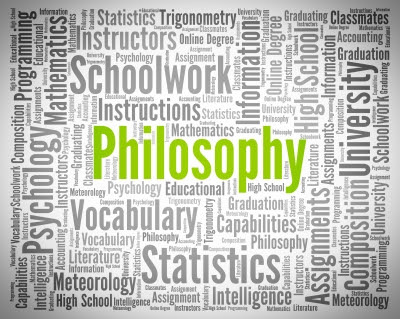 "What should be surprising is not that a case must be made for philosophy in America's high schools, but that philosophy hasn't already become an integral part of its schools long ago." according to Frank Breslin, retired high-school teacher. Adolescents are a skeptical lot. Anything and everything is fair game to them, and woe betide what is found wanting. Criticism comes easily to these professional skeptics. Irreverence is natural when one is taking the world's measure, cutting one's teeth, and finding oneself. However, American high schools waste this irreverence by failing to harness and turn it to educational use. By not providing programs which could tap into this natural resource, they forgo their most valuable asset -- the intellectual restlessness of youth itself. By barring this critical spirit from the classroom, high schools are saying that questioning is wrong and has no part in one's education. If one wants it, one must get it on one's own. This is the message schools often convey. This is regrettable, since what could be an opportunity to exploit and sharpen this critical temper is irresponsibly allowed to run into the sand. Not that schools should become coliseums where intellectual gladiators slay their opponents, but training grounds where students learn to think for themselves. The study of philosophy is one such program which American high schools should introduce to channel this skepticism toward academic ends. This would not be a course which would indoctrinate students into the tenets of a particular school of thought and show why schools which disagree are wrong. Nor would it be a history of philosophy which surveys major figures and movements. Rather, it would be a course which simply asks questions: Does life have meaning and purpose, and how do we know? What is truth and how do we know that we have it when truth and illusion feel the same way? Does truth change over time? Are beliefs the creations of our subjective needs? Are values discovered or invented? Do human beings have value? Can we know anything beyond this world? Such a course would consider the various answers which have been advanced to these and similar questions over the centuries; seek to understand the historical era in which an answer arose; empathize with each answer to understand it better; analyze its respective arguments, and suggest objections and rebuttals. By observing how each position qualifies, complements, or critiques the others, students would explore not only specific questions and their answers, but also the nature of critical thinking itself. Students would learn how to detect fallacies in logical reasoning; how to dissect and refute faulty arguments; how to determine what can and cannot be proven; in short, how to think, and not what to think.